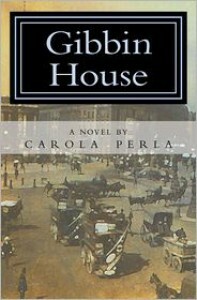 Gibbin House by Carola Perla is one of those rare books where I fell in love with the story from the very first line. It is so rare to find a book with an opening line that truly hooks the reader but Gibbin House is one of those extraordinary gems. The first chapter had me so entranced in the story of Anka Pietraru that I turned back and read the Prologue. I never read the Prologue but with Gibbin House I simply couldn’t help myself. The Prologue in Gibbin House is a letter from Anka to a man named Theo. It was a love letter but not in the overly sweet and lustful that is so common in romance novel; instead it was deep, thoughtful, insightful and strong. It was beautiful. I could have read the letter in the Prologue over and over and never tired of reading those gorgeous words. They simply radiated off the pages. Simply amazing. This story was also wrought with tragedy; however the tragedies were so subtle and they blended so well into the story that it would have been easy to miss them if I had not been so engrossed in the story. There were little hints of pain and suffering that, as the story progressed, pieced together like little scraps of fabric sewn together into an exquisite quilt. Anka’s nervousness around men and apprehension at living in a house of four gentlemen. The anxiety that befell her when she remembered living with a relative and her husband. Was it a nod toward a sexual assault that she had suffered? Is that why she feared for her mother living there alone? What was the situation with Theodore and the field of flowers? Why did Alfred feel so close to Anka, a young woman he had never met and knew of only because her parents had been such dear friends? The story is all there but it slowly comes together and it’s a wonderful enticing adventure. The characters were all just simply magnificent. I was easily captured by Anka and her roommates at Gibbin House - Theodore, Emil, Jan, and Alfred. When the story expanded away from London and into Vienna with Martin and his family the magic and intensity increased tenfold. I was immediately enamored with Anna, Martin’s aunt and her quiet, withdrawn, and semi-depressed demeanor. Martin’s sister was a similar personality who ached to please her mother. The characters were each tragically flawed and yet, when their lives became entwined with each other they grew and evolved. It was such a joy to be a part of their growth and depth. The setting was equally beautiful and it was so much fun to imagine travelling throughout Europe. 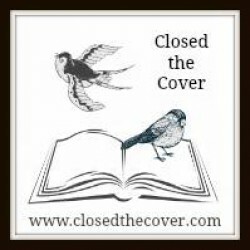 It was so well-written that I could feel Anka’s pain and struggle when she first left Vienna for London. Her overwhelming anxiety as she travelled the subway rails and trains into London for the first time was intoxicating and her nerves while she waited for Alfred to show up nearly had me in tears. My heart broke for this poor young girl feeling so alone and so afraid in a new city, away from her mother, preparing to live with a stranger. Carola Perla did a superb job of describing the maze of London’s trains and rails and roads. The city felt suffocating, especially to a damaged stranger out to try to start over and build a new life. London was a bustling city with people always the move and things always happening yet in the middle of it all was the Gibbin House which was slowly falling apart. Amidst the boom of London, Gibbin House was musty, leaking, and abandoned despite the tenants that occupied her rooms. Anka made it her personal mission to restore Gibbin House much the same way she was trying to rebuild her own soul and spirit. In direct contrast to London, Vienna was dark yet artistic, cozy yet isolated, and full of citizens trying to recover from the tragedy of war and find a new hope and a new light to life. The entire city had been ravished and yet under it all was the determination to rebuild. Gibbin House is an intense, emotional and flawlessly romantic story. The characters are perfectly flawed, relationships are strained and developed, and the cities take on lives of their own. The story and the language both are so beautiful and so perfect. I couldn’t find a single flaw with this story. It was simply perfect. There are no words with which I can adequately describe my love for this book. Gibbin House should absolutely be a must-read.